November 8 marks the 673rd birthday of Julian of Norwich, the famed anchoress from the Church of St Julian in Norwich, England. Julian is one of my girls, the women I studied in graduate school. I was drawn to her various and sundry reasons which none of my 12 readers worldwide likely care about. But who was Julian, really, and why should we care? Julian was an anchoress in the 14th Century. Anchorites were people, often women, who would literally wall themselves up in small rooms or cells so that they could focus their devotion and prayers on God without distraction from the outside world. These rooms or cells were attached, or “anchored,” to a church or holy site. Some anchorholds were fairly spacious, more like walled cottages. Such was Julian’s anchorhold, which I was happy to visit when I studied in Cambridge. Others were little more than tombs, often without enough space to stand upright or lie down. Such anchorholds were perversely apropos, as the mass of the dead was said over each anchorite upon entering the anchorhold. Regardless of the size of their cell, anchorites were seen as the moral mainstay of the church to which they were attached. The outside of the anchorhold, attached to the church. Inside it’s like a little house with a couple rooms. Such a concept is remarkable, considering that Julian lived through the Black Death, the Peasants’ Revolt, and the possible loss of her own family to plague. While her contemporaries tended to view God as wrathful, a being who punished wicked people, Julian viewed her god as loving. She claimed that sin was necessary for a person to gain wisdom, but that God loved everyone unconditionally, as a mother loves her children. Julian’s view of Christ as mother may be further indication that she herself was a mother, possibly whose children had died. Julian describes Jesus as wise, loving, and merciful, as a mother is. This view of Jesus was not dogma, nor widely accepted, but it was not totally unheard of for her time, either. Bernard of Clairvaux had written similar concepts in the 12th Century. Julian’s adoption of the maternal elements of God aligns with her own views on motherhood. She believed the bond between a mother and her children was the closest bond a person could have in mimicry of the bond between God and creation. She calls motherhood “the taking of our nature,” linking a woman’s most basic instinct to religious devotion. Her maternal views resonated with women across generations, helping to make an otherwise distant or frightening paternal figure more accessible and understandable. This gentle worldview can still be relevant today, regardless of one’s own faith or lack thereof. We can turn Julian’s theology into a policy of tolerance and acceptance, something we all have difficulties with at times. Julian can help us remember to be patient, both with our children and with ourselves; to be loving, because the world is full enough of horrible things without adding to them; and to find joy in small, daily activities. Starr, Mirabai. 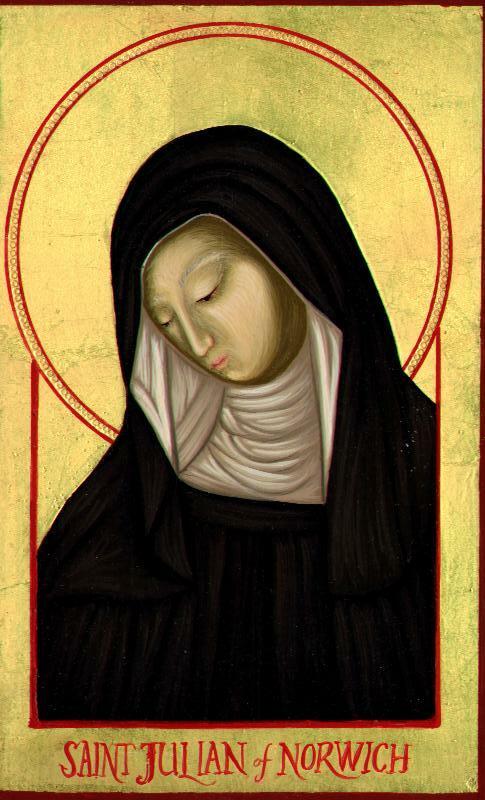 “All Shall Be Well: The Radical Optimism of Julian of Norwich.” Huffington Post. Oct 17, 2013. Web. Nov 12, 2014. Julian of Norwich. 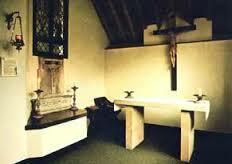 The Shewings of Julian of Norwich. Ed., Georgia Crampton. Western Michigan University Medieval. Julian of Norwich. 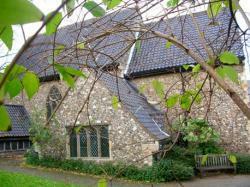 The Shewings of Julian of Norwich. Ed., Georgia Crampton. Kalamzoo, MI: Western Michigan University Medieval, 1994. Ch 27, line 56-57. Ibid., ch. 59, lines 146-148. Sigh. I realised after I’d already fiddled forever with this post, that the references weren’t in alphabetical order. I’m too lazy to fix them now. Mea culpa. Kristen, I thoroughly enjoyed this refreshing review of Julian’s life.Your final paragraph was great in making her view of life relevant for us today, and I totally agree with all you wrote. Thanks! Thanks! You know I love Julian.